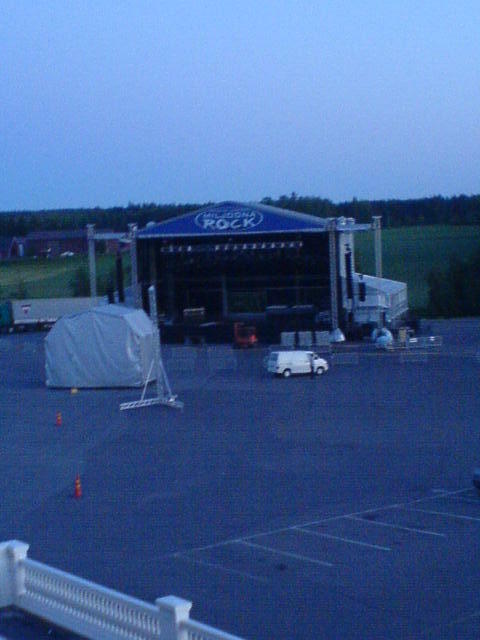 How cool, from my balcony you can see the stage being set up! They are expecting 15,000 people, which seems like everyone who lives in the area! It’s really one of the biggest events that is happening here and one of the opening band is Finnish, “Lordi” who won Eurovision 2006 so there is lots of excitement here! I just took this photo at 00.25, it’s still so bright outside! did you get the phone?